In this chapter, the authors focused on optimization of MSNs based on integrating for intelligent DM and BI platforms, which involves mobile devices. The approach is defining the challenges based social network trends and current situation explorations, and then applying the techniques to exploring the social media towards social cloud technology, which focused on creating a scalable, adaptable and optimal social cloud as the users’ contexts and IT technologies. 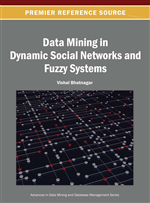 The newly proposed method is vigorously significant to develop flexible social networking in relation to the development of IT, which facilitates data/information access, distributions, high availability and a large amount of data analysis and others. Therefore, the techniques this chapter is vitally crucial to improve the performance and use of social networking in a comprehensive and powerful way. Nutshell, this chapter overviews the impetus for the development of intelligent semantic cloud and diversified social-networking in both physical and wireless sectors, which representing a wide aspect of social cloud change, and increasingly appropriate service providing a platform for innovative ideas and technological innovation in the business environment. Mobile Social Networks (MSN) is a dynamic and extensible social platform that enables users to gain more access of information, resources, services and other benefits through social end nodes. It is the technological communication and interaction between people using integrated intelligent agents and a communication device from their destinations, via the internet and/or mobile device. All the components of the network systems are representing as social objects1 (Kayastha et al., 2011), which are significant to make easy humans’ day-to-day life, and natural paradigm shifts of friend’s interactions and relationships. These are the verge and popularity of social networking that started exploring new opportunities and applications over the traditional social media. The advanced social systems allowing users to stay connected to their favorite social networks, which are pertinent social-networking technologies and converge on communication tools that lead to a rise in user-generated content and contextual information such as, personal profiles, their existing location, availability, interests and moods. In these dynamic activities, large data are collected, recorded and stored, which are essential to explore trends, current situations and predict future optimal performance. To these facts, searching and introducing new tools and approach are paramount to extract valuable information/knowledge from the data repositories, which insight to integrate social semantic clouds that initiating and allowing on-demand services and be as ephemeral as the user interests themselves. Therefore, integrating for semantic intelligent clouds and communication devices are essential that enhance MSNs performance in scalable cloud facilities to access and share social resources and applications. By semantic cloud, we focused on the relation of signifiers and/or technologies that enable the collaborative movement or interactions of intelligent agents in a given standard and form of a generic virtual model called social cloud. The term intelligent and/or intelligent agents are software involving entities, which perform on behalf of users with some degree of independency or autonomy called intelligent Data Mining (DM) and Business Intelligence (BI) (see more in 1.2). Thus, intelligent agent in a social cloud is also a clear and high level of understanding of the context and content of the social networking in an abstraction functional system using certain actuators. Communication devices such as, mobile technology towards social-networking services is the key component and more dynamic, which demanding the paradigm integrating for intelligent agent tools to handle, investigate, distribute and secure MSNs data on considerations of the trends and current status and business (companies) structures (Domingue et al., 2011). However, traditional social network’s service and applications are not capable of handle these complex performances as users’ desires. Thus, the motives and research issues of this chapter are focusing on the challenges of traditional social networking, on the basis of the following formulated and defined research questions. Q5: The need of characterization of the structure and interaction of MSNs to elucidate the social behaviors of individuals and/or group’s role in the social networks, for example, for suspicion or fraud detections.